Would you like to perform rewarding work while contributing to the success of an established, growing company? ExecuTech Strategic Consulting is seeking a Senior NLCC Subject Matter Expert (SME) to support our DISA customer. The work supports the Joint Systems Engineering and Integration Office (JSEIO) located at Fort Meade, MD. This role supports the Government’s JSEIO technical requirements include in-depth system engineering, system analysis, vulnerability analysis, risk assessment, program and budget analysis, and technical analysis regarding the National Leadership Command Capability (NLCC) portfolio. This NLCC portfolio includes the Nuclear Command, Control and Communication System, the Senior Leadership Command, Control, and Communications System, NLCC portions of the National Military Command System (NMCS), and DoD elements of Federal Continuity Communications system. The Senior NLCC SME position will be an integral element of the DISA’s Joint Systems Engineering and Integration Office (JSEIO) Team conducting system-of-systems engineering of secure and survivable communications solution under all possible environmental conditions. This position supports the Government in analyzing issue and developing paper and/or electronic versions of various EAP-CJCS volumes and their associated Annexes, and other Nuclear C3 plans and procedures related tasks as required. 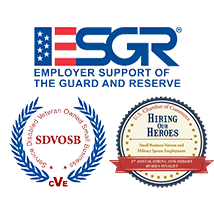 Subject Matter Expert skilled in nuclear C3 operation specifically related to authoring selected Volumes of the Chairman, Joint Chiefs of Staff (CJCS) Emergency Action Procedures (EAPs). Participates in technical discussion with Government customers to evaluate, document, and recommend changes to old/new procedures. Demonstrates expertise in the Nuclear C3 and Senior Leadership C3 arena in the area of cryptographic devices, system analysis, engineering, and overall operations. Experience with NLCC infrastructure/nuclear C3 Emergency Action Messaging/transmission modes; nuclear technical performance criteria (NTPC) protocols. Technical and operational understanding of nuclear C3 SATCOM to include the space segment, terminal segment, and control segment (e.g., AEHF, MILSTAR, DSCS/JRSC, etc.). Extensive experience with nuclear C3 missions, systems, and operational procedures currently used with the strategic nuclear capable forces in support of presidential and joint staff nuclear communications. Demonstrated ability to prepare nuclear C3 analysis, documentation, and reports. Understanding of, and experience with operations and technical characteristics of nuclear C3 systems to include strategic communications systems, sensor and radar systems, and communications systems deployed at nuclear command centers and on nuclear capable platforms. Thorough understanding of national policy, DOD/Joint Staff guidance, and technical performance criteria requirements regarding nuclear C3 operations. B.S degree or equivalent combination of education in Engineering, Communication, or Information System Technology with 10 years’ experience.